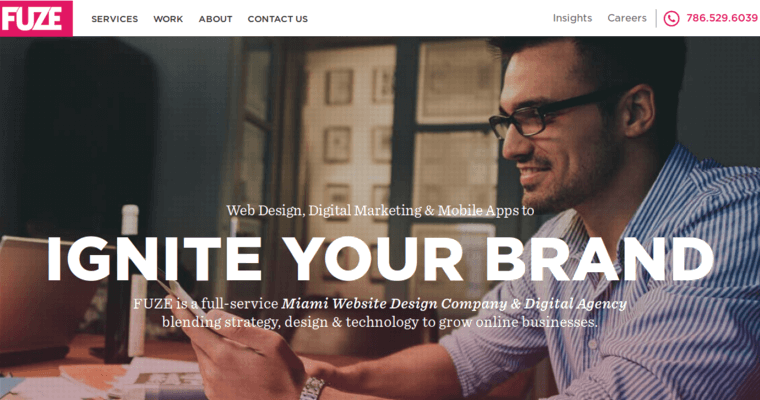 Fuze Inc. is a creative web design firm that's based in Miami, Florida. Their brilliant and diverse group of developers, designers, branding geniuses and marketers have the drive to produce sites that help their clients' soar. They know that each website they design should be both aesthetically pleasing and high-functioning, which makes it an invaluable marketing tool for each of their clients. 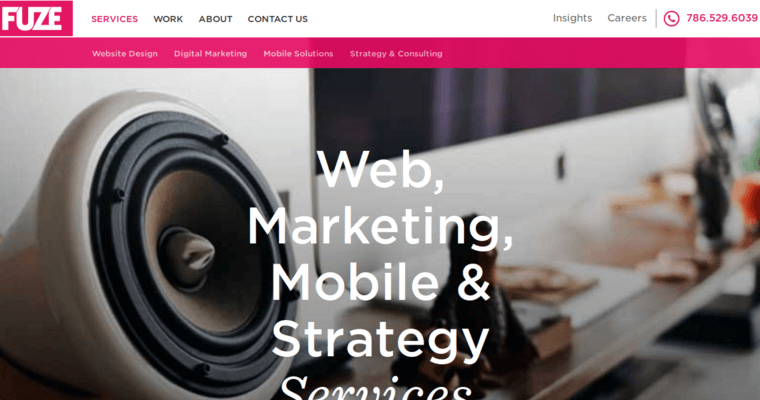 They're experts at creating everything from retail websites to professional websites and custom websites to service websites for their clients that engage and draw in their audience while getting results that will meet and often surpass their objectives.